Morizane R, et al. “Nephron organoids derived from human pluripotent stem cells model kidney development and injury.” Nat Biotechnol. 2015 Oct 12. doi: 10.1038/nbt.3392. Naoki Nishishita, et al. “Generation and Maintenance of iPSCs From CD34+Cord Blood Cells on Artificial Cell Attachment Substrate.” Biochemistry, Genetics and Molecular Biology, Chapter 5. Kanemura, Hoshimi, et al. “Tumorigenicity Studies of Induced Pluripotent Stem Cell (iPSC)-Derived Retinal Pigment Epithelium (RPE) for the Treatment of Age-Related Macular Degeneration.” PloS one 9.1 (2014): e85336. Hasegawa, Tsuyoshi, et al. “Cancer‐associated fibroblasts might sustain the stemness of scirrhous gastric cancer cells via transforming growth factor‐β signaling.” International Journal of Cancer (2013). Kanemura, Hoshimi, et al. “Pigment epithelium-derived factor secreted from retinal pigment epithelium facilitates apoptotic cell death of iPSC.” Scientific reports 3 (2013). Lam, Albert Q., et al. “Rapid and Efficient Differentiation of Human Pluripotent Stem Cells into Intermediate Mesoderm That Forms Tubules Expressing Kidney Proximal Tubular Markers.” Journal of the American Society of Nephrology: JASN (2013). Murakami, Masashi, et al. “The use of granulocyte-colony stimulating factor induced mobilization for isolation of dental pulp stem cells with high regenerative potential.” Biomaterials 34.36 (2013): 9036-9047. Nishishita, Naoki, et al. 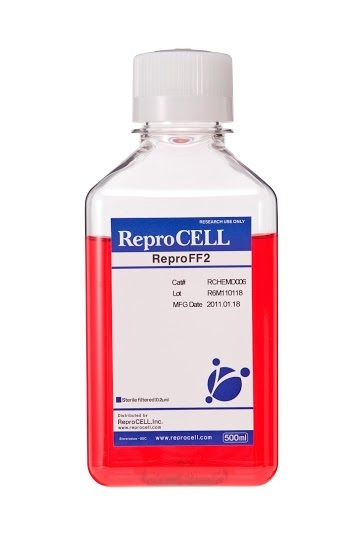 “Generation of virus-free induced pluripotent stem cell clones on a synthetic matrix via a single cell subcloning in the naive state.” PloS one 7.6 (2012): e38389. Sugiyama, Norikazu, et al. “Label-free characterization of living human induced pluripotent stem cells by subcellular topographic imaging technique using full-field quantitative phase microscopy coupled with interference reflection microscopy.” Biomedical optics express 3.9 (2012): 2175-2183.